Live An Active, Vibrant Lifestyle. At Carveth Village, we offer the ultimate in independent retirement living, private apartments. Each apartment is beautifully designed with fully equipped kitchens plus a washer/dryer, private patio, individual air-conditioning, internet, and cable television. 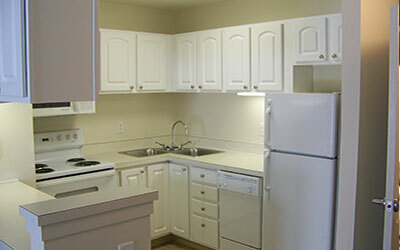 All utilities and meals are included in the monthly rent. Additional amenities such as house keeping can be purchased. The main foyer with fireplace and small coffee/beverage center invites a wonderful place to entertain friends and families.